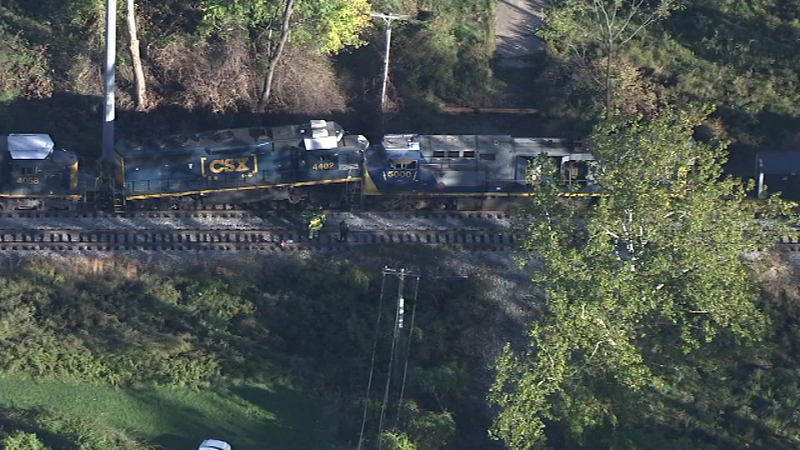 October 28, 2016 - Delaware County authorities are investigating an accident involving two freight trains. 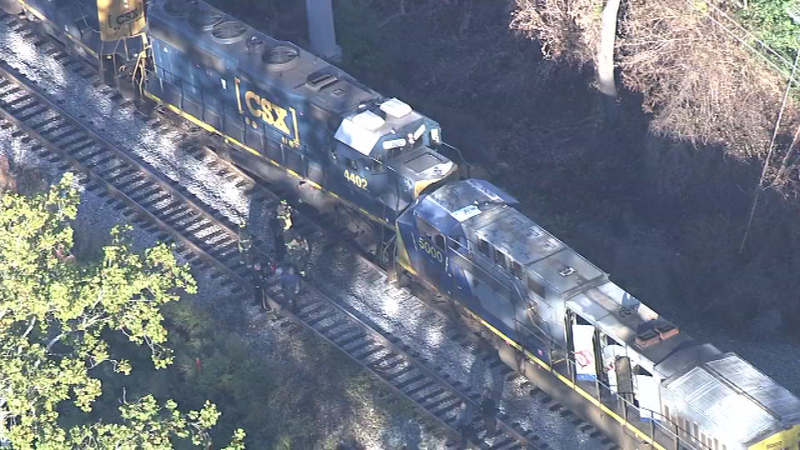 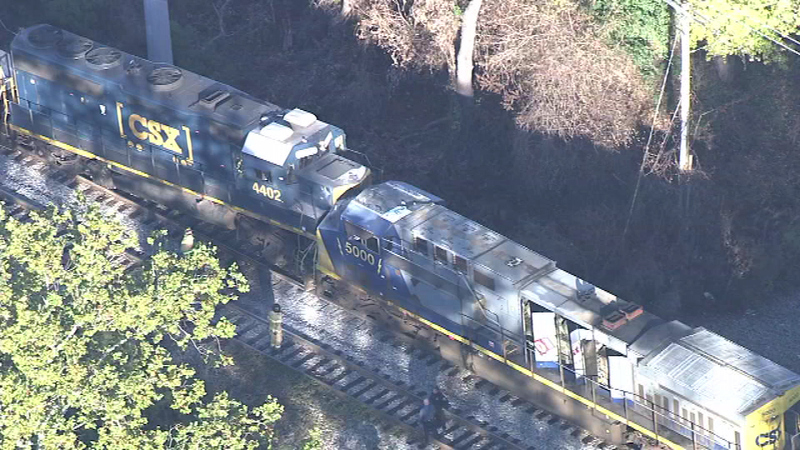 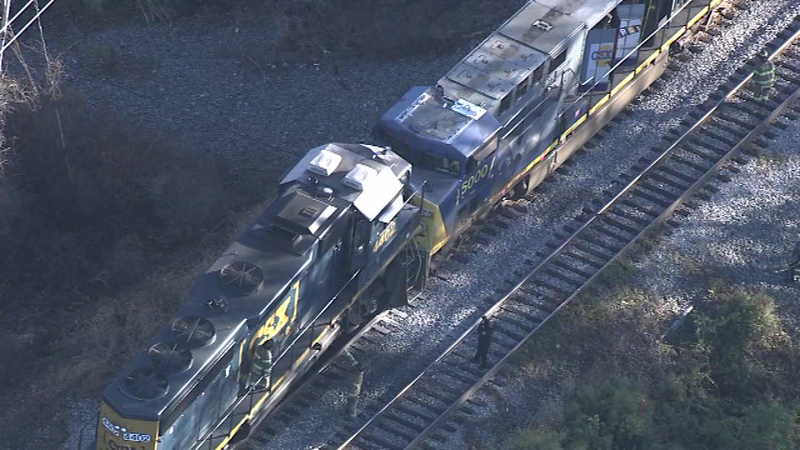 CHESTER TWP., Pa. -- Delaware County authorities are investigating an accident involving two CSX freight trains. 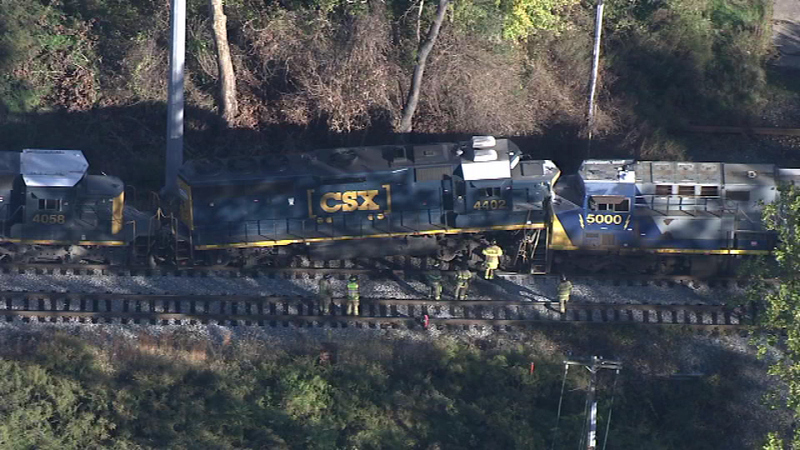 It happened shortly before 8:30 a.m. Friday at a track interlocking between Kerlin Street and Concord Road in Chester, Pennsylvania. 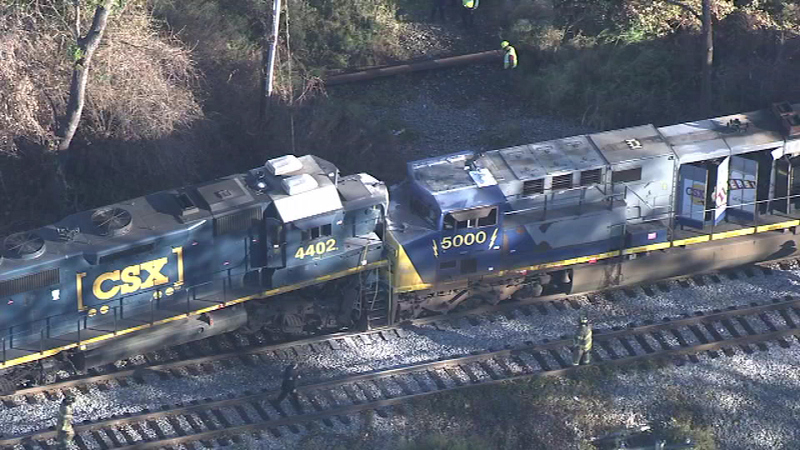 One CSX freight train was traveling from Richmond, Virginia to Pavonia, New Jersey with three locomotives and 64 empty freight cars, when it collided with another CSX train traveling from Quebec, Canada to Atlanta, Georgia, with one locomotive and eight intermodal cars carrying consumer goods and food products. 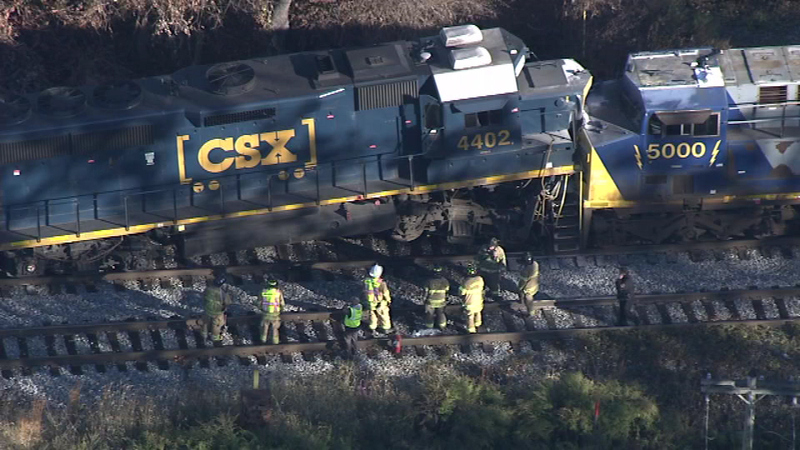 Delaware County authorities are investigating an accident involving two CSX freight trains. 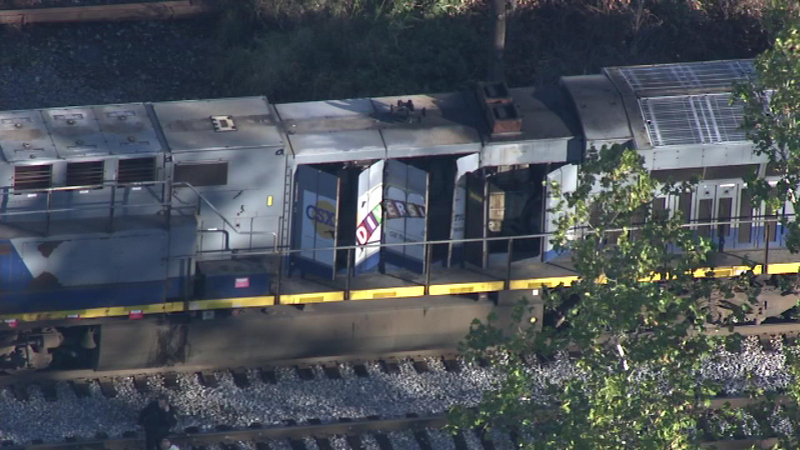 Each train was traveling with two crew members aboard. 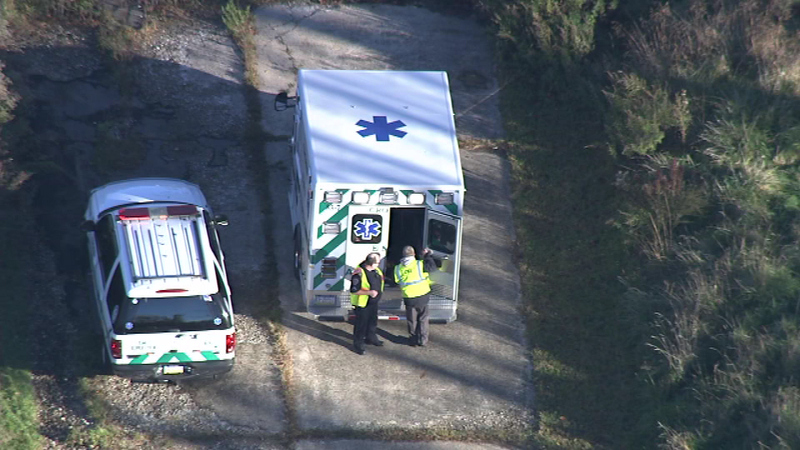 Two employees were transported to a local hospital for medical attention. 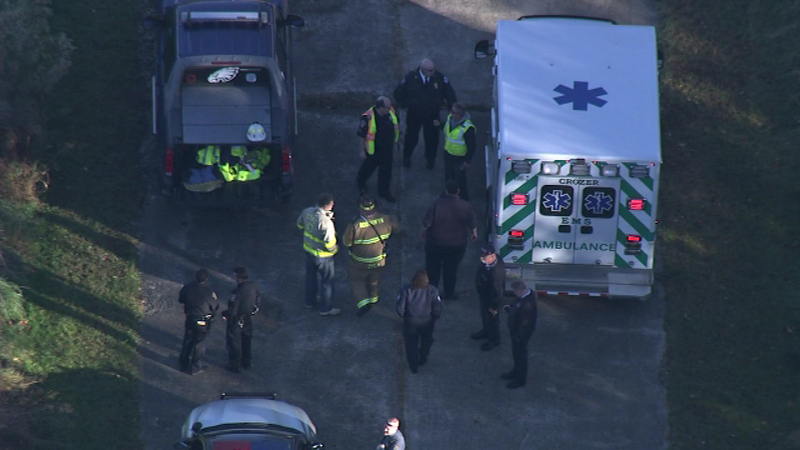 Officials are not releasing any details of their conditions out of respect for their employees and families. 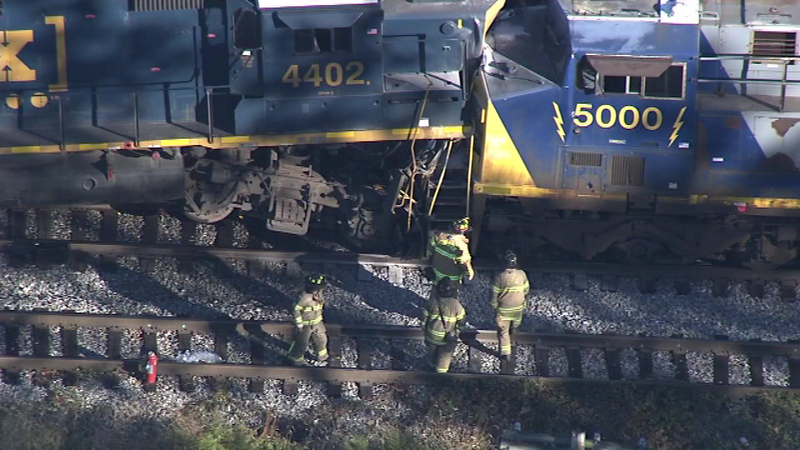 They say "Our priority is always the safety of our employees and the communities we serve." 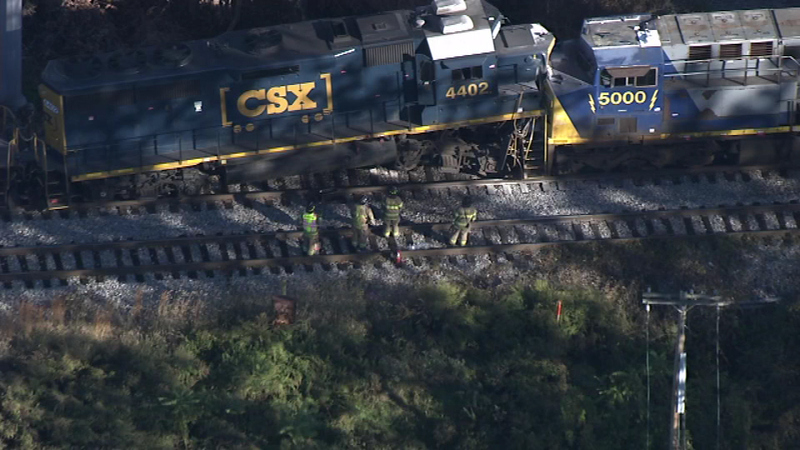 CSX authorities are assessing the damage to the trains. 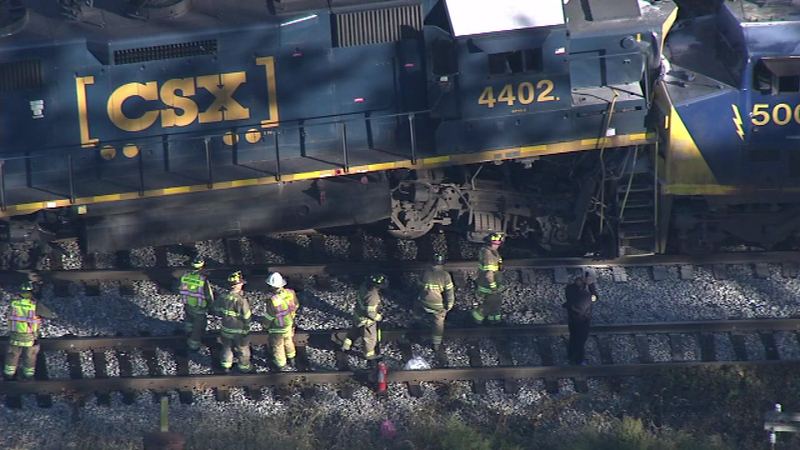 They say there was no hazardous materials involved in the crash. 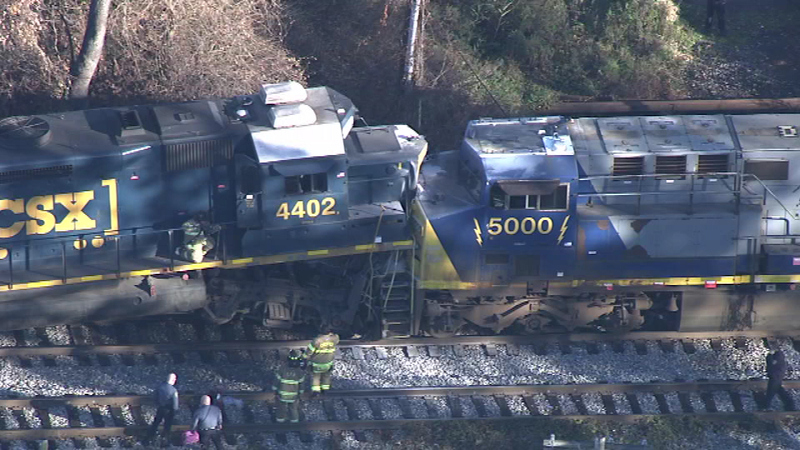 There is no immediate word on why the trains were on the same track.